An opportunity to explore and enjoy our lovely medieval church. Free church history tours at 2, 3 and 4 pm (no need to book). Otherwise self-guided tour from 10 am using free guide leaflet. Also enjoy some afternoon tea (or come just for tea!) from 2.30 to 5.00 pm. You will receive a warm welcome. The has much of interest and examples of architecture from the Anglo-Saxon to Perpendicular (15th century) periods as well as monuments, brasses and furnishings. George Bennett, a famous cricketer in his day, is buried in the churchyard. He was a member of the Kent Eleven and played for England in Australia in 1862. For much of his life he worked for the 6th Earl of Darnley who was noted for his sponsorship of cricket. In his 20 years playing for England George scored 4,199 ‘first class’ runs and took 612 wickets. The grandparents of the novelist H.G. Wells are also buried there. This is the same day as some other related events. 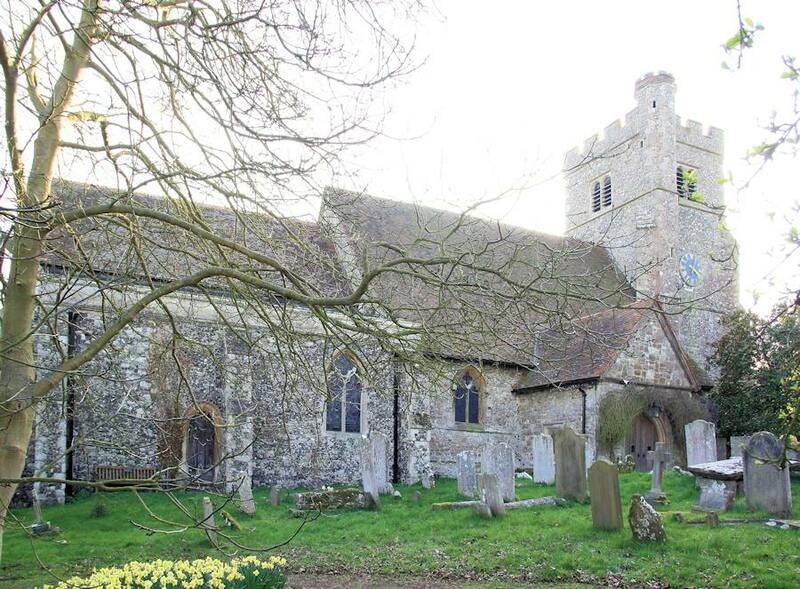 Cyclists and walkers will be visiting as many churches as they can to raise money for the Friends of Kent Churches’ annual sponsored “Ride and Stride”. The money is used for the repair of old churches. It is also on one of the national Heritage Open Days when many buildings normally closed are open to the public.